Study at Acsenda School of Management (ASM) | Study, Work and Live in Vancouver, Canada! - Gateway to Canada | Canada Immigration Consultancy! Study at Acsenda School of Management (ASM) | Study, Work and Live in Vancouver, Canada! Acsenda School of Management (ASM) is one of the partner schools of Canadian Immigration Consultancy in British Columbia, Canada. Acsenda is a private post-secondary institution located in downtown Vancouver offering specialized undergraduate degrees and diplomas. 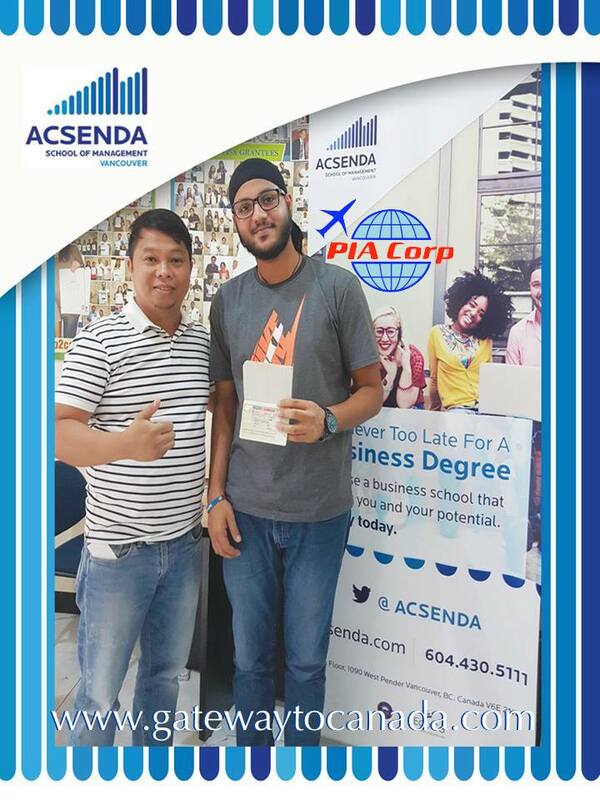 If you are one those planning to apply for permanent residence in Canada via the Study Visa Pathway, taking up a Bachelor of Hospitality Management or Bachelor of Business Administration from Acsenda School of Management is one of the options you may consider. Acsenda's Business Degree Programs are Post Graduate Work Permit eligible. This means after finishing the program, you may then apply for a Work Permit to work full time for a period equivalent to the length of your studies (maximum of 3 years). Mr Jaskaran Birring with Mr. Benjie Rustia, one of CIC's Cosnultanst. IELTS Examination is not a mandatory admission requirement for students that we refer to Acsenda! As an International Student, you are allowed to work part-time for a maximum of 20 hours per week. Your spouse and your kids may also join you in Canada. Your wife may work full time and your kids may study for free! Please note that studying in Canada is not a guarantee that you will get a PR Status. Learn about Education Trafficking in Canada!